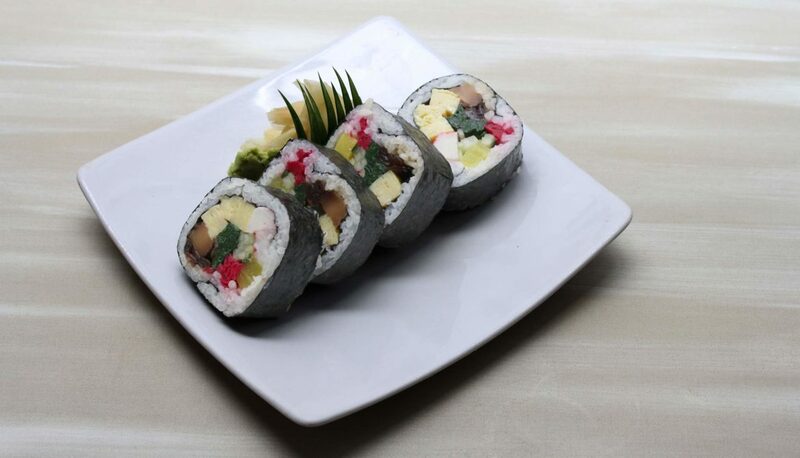 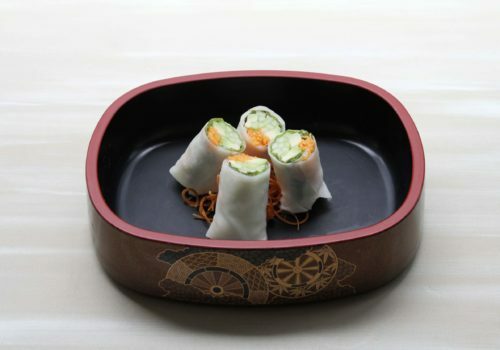 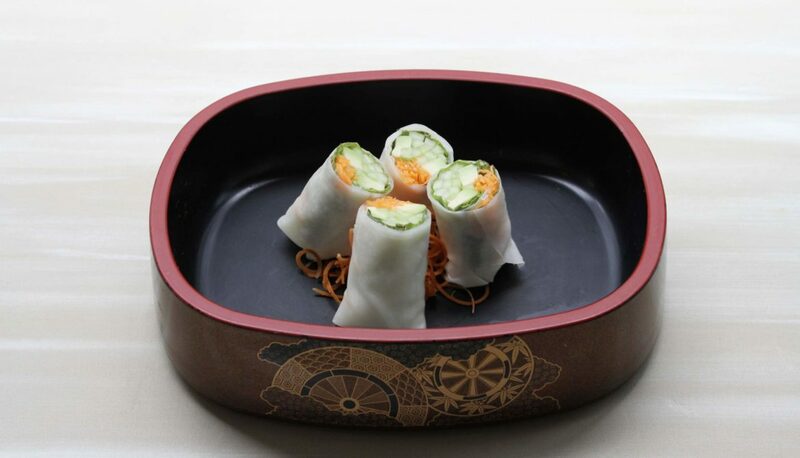 Crab Stick, boiled prawn, Japanese omelette, shiitake mushrooms, Japanese pickles, sliced ginger and cucumber. 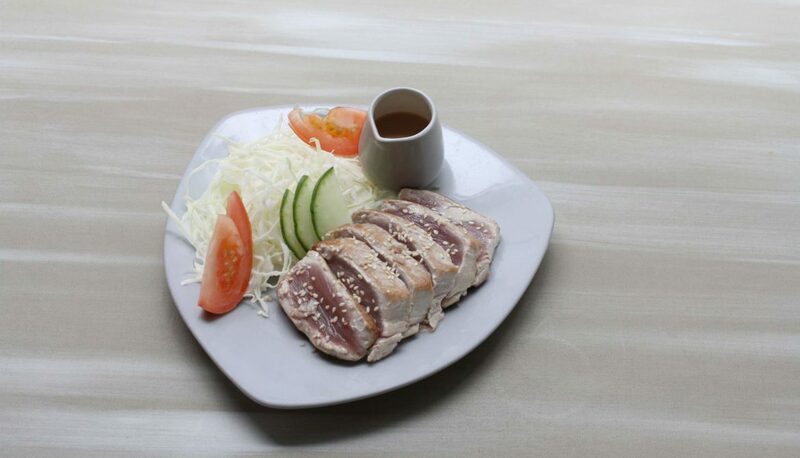 Pan seared tuna, sesame seeds, Japanese mayonnaise, oyster sauce. 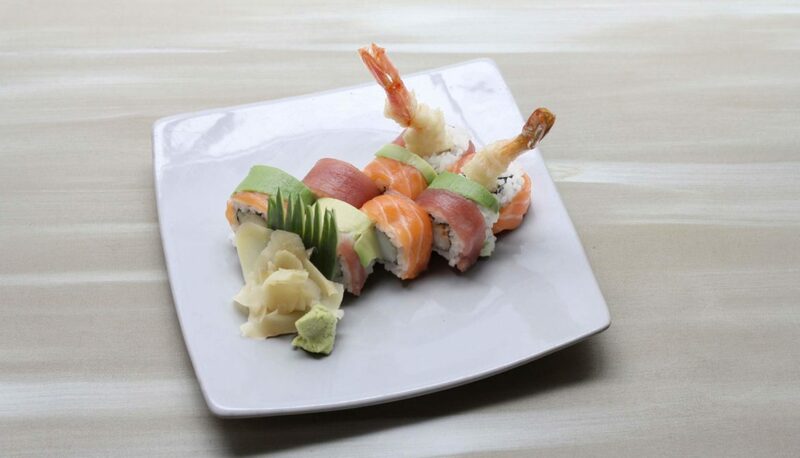 Prawn Tempura inside roll over, with sashimi, tuna and avocado. 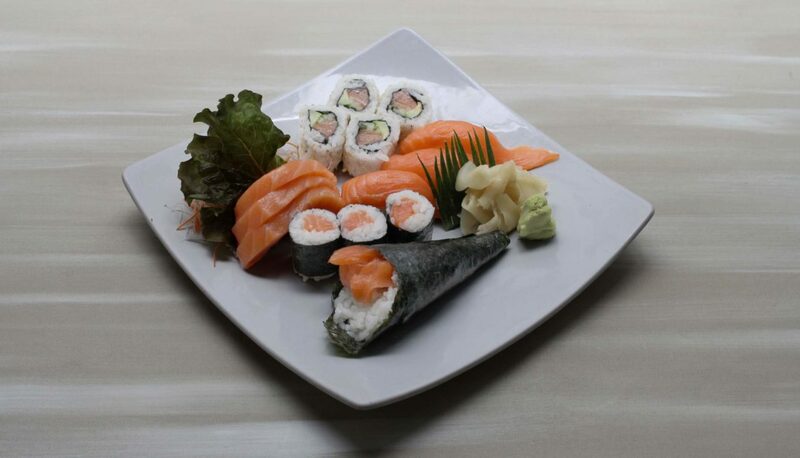 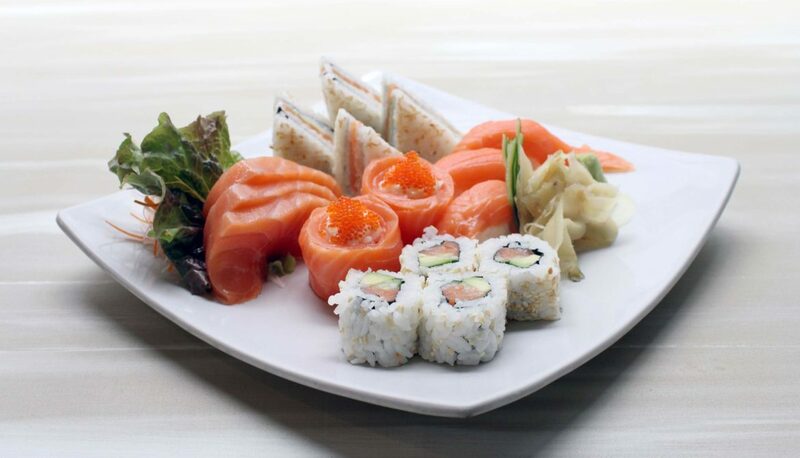 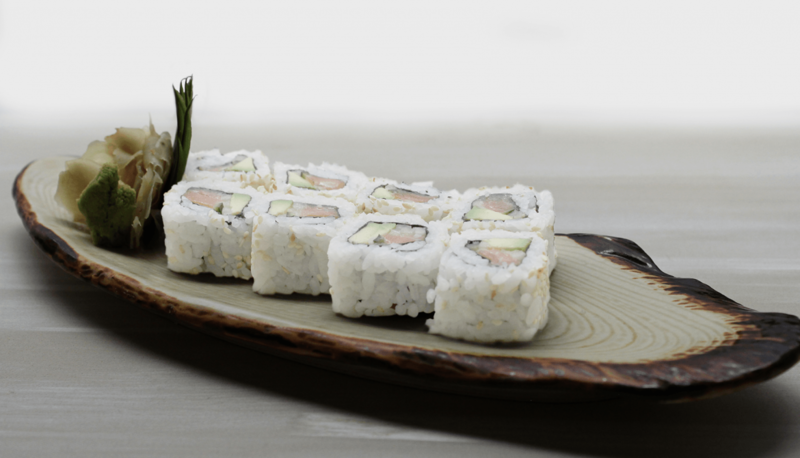 The Salmon Platter Deluxe consists of a wide variety of sushi and sashimi delicacies.